About 500 million tweets are sent every day. If you want to boggle your mind, you can watch a live count of tweets by clicking HERE. There are about 62 million active monthly Twitter users in the U.S alone. That’s a big audience. Nonprofits know that they need to engage this audience both to inform people about their missions and to fundraise. Still many don’t use Twitter effectively. For some, this is because they are strapped for time and resources, but for many others it’s because they aren’t sure how (and are afraid to ask). Here is a list of great blog posts, web pages and other materials to help you understand Twitter and head down the path to becoming a Twitter master. 1. Mom, This Is How Twitter Works – Need to start at the very beginning? This website is a very good (and entertaining) place to start. 2. Twitter Tips for Nonprofit Tweeple…People – Here is another great introduction to Twitter geared specifically for nonprofits. 3. 15 Common Twitter Questions Authors Ask – Despite the title the content of this post not really specific to authors. It offers good advice regarding things like how to choose a username and contains clear how-tos for things like blocking annoying people. 4. How Many Times Can You Tweet The Same Tweet? – This NY Times blog post addresses the question of reusing content on Twitter. 5. 10 Twitter Best Practices for Brands – Tweeting as a private individual is quite different from tweeting as the voice of your organization. Here’s some advice to help you mind your Ps and Qs when tweeting on behalf of your nonprofit. 6. How to Use Twitter to Drive Traffic to your Blog – Beyond the basics, this is good advice regarding how to use Twitter to increase the visibility of the great content you are posting to your blog. 7. 3 Powerful Case Studies That Show You How to Advertise on Twitter – If you know your way around Twitter and are engaging with constituents and partners effectively, you might be considering advertising on Twitter. This blog post introduces you to the basics and demonstrates three examples from companies that got it right. 8. 59 Free Twitter Tools & Apps to Fit Any Need – Already using Twitter and looking for some companion applications to help you find content trends, manage tweet chats and more? You’ll have fun with this list! Once you know how to engage an audience on Twitter, it is imperative that you point to donation pages that are optimized to convert fellow Tweeters to advocates and donors. Check out 2 Things Your Donation Page Desperately Needs for thoughts about additional “levers” that you can use to drive conversion. 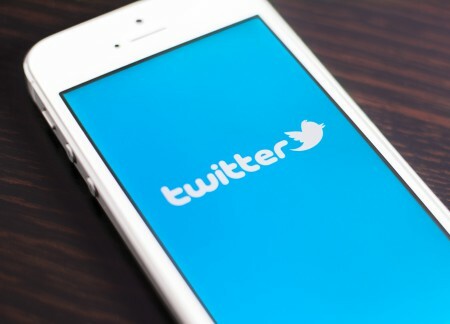 Is your organization using Twitter? Share your insights!